I have no horse (or bird or patriotic person) in this race, I just like making snacks, drinking a lot of beer and watching TV with friends. And I always will love a nice limited edition food item in an atypical color…so, I’m feeling this blueberry blue (lavender, really) and green Seahawks Frappuccino from Starbucks. Matcha whipped cream? So on trend. This seems like a missed opportunity for Dunkin’ Donuts, no? Like Argentina’s dulce de leche Oreos or China’s green tea localization, Oreo’s newest domestic flavor couldn’t be more quintessentially American. Yes, that would be red velvet. Unlike the pumpkin spice and caramel apple limited editions released in fall, this special has one unique claim and that’s that the cookie itself is new, not just a reworking of the traditional or Golden Oreo with different fillings. How does it taste? The stuffing, meant to resemble cream cheese frosting, is the most noticeable difference. It’s good, a little cupcakey, and not overpowering. Chocolate is chocolate, though, and isn’t red velvet just dyed devil’s food? 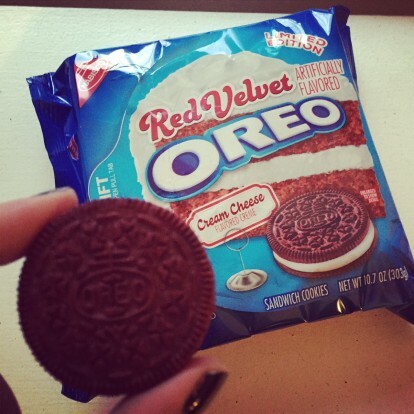 I haven’t eaten a standard Oreo in some time, so I would have to taste the old and the new side by side for comparison. I could’ve been imagining a lighter, more cocoa powdery flavor with the red velvet simply because of the color. And frankly, it’s the color that gets me. I’ll try anything rebooted into an unnatural shade. 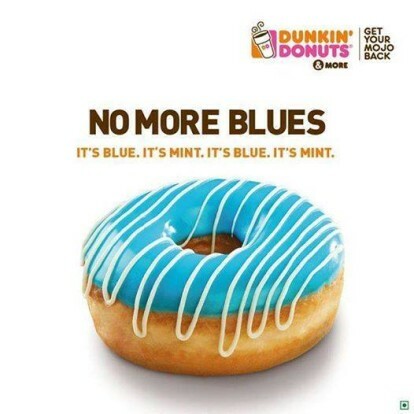 I don’t make a habit of seeking out blue donuts but when they cross my path, I can’t ignore them. Flavor-wise, Dunkin’ Donuts India’s guava chilly and ladoo sound more appetizing than a mint, the herb that rarely shows up in American desserts without chocolate. That color though. Why am I only hearing about these Blue Velvet donuts now that they have been decommissioned? 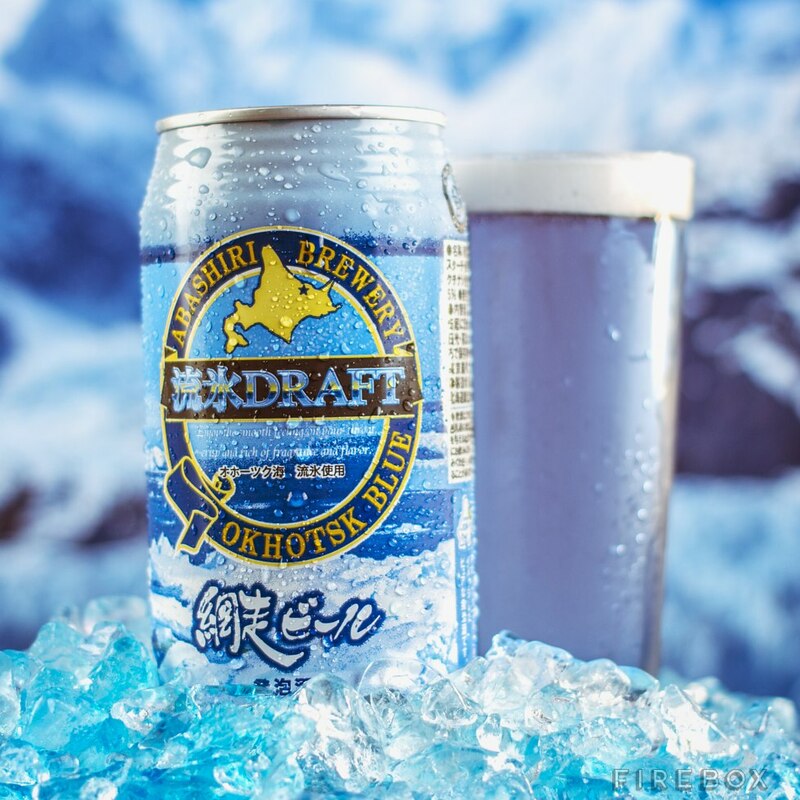 This sky blue Japanese beer is so pretty I almost can’t stand it. And somehow the hue is naturally derived from seaweed and unspecified flowers? I may just break down and order a can. 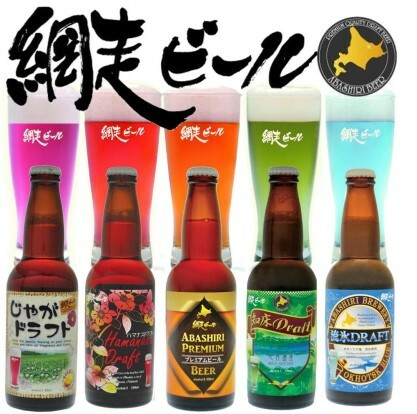 It’s probably worth $8 to experience the magic of iceberg water from the Sea of Okhotsk and Chinese yams in the only other alcoholic beverage the color of an Aviation. It is Abashiri’s blue beer that has been making the rounds online this week, but the company has also brewed a whole range of rainbow colors. 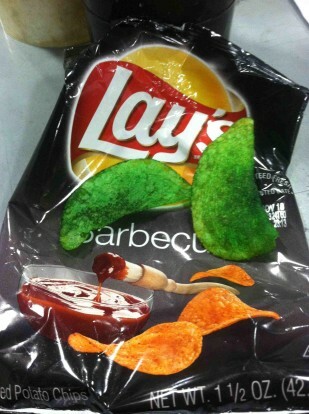 I bet these would go great with those green Lay’s barbecue chips. As an aside, of all the Lay’s chips with green packaging, don’t you think India’s Mint Mischief is probably the best? 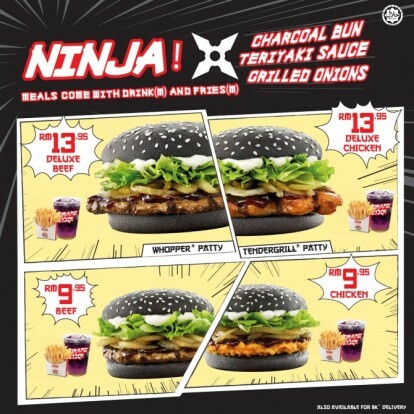 Anyway, an entire Tumblr could be devoted to cataloging fast food quirks in Asia. It would be an exhausting endeavor (I tried once and gave up, as I’m wont to do). Our European and Latin American counterparts don’t generally go so wild, instead opting for more logical localization and more demure limited time offers. In addition to serving pasta salads, snacky wedges of wrapped parmesan, and pizzarotto, tomato sauce and mozzarella-stuffed turnovers that we’d call calzones, McDonald’s Italia thinks McChicken is the new black, so there. Though I rarely post about it, I do have a thing for unnaturally colored food. It’s bright; it’s fun–why not? Sarah Rainey over at The Telegraph isn’t having of it, though. One might think that an article titled “Why I Can’t Stomach Technicolor Food” would be about Burger King’s black ninja buns or McDonald’s cherry blossom burgers, not heirloom tomatoes, blue potatoes and, er, white asparagus. I like my potatoes white, reliable and predictable. Just as I like my carrots orange, my asparagus green and my tomatoes red. Maybe this is what constitutes trolling in the UK. Rainey does like multi-colored igloos, it turns out. I’m not sure I would call this crab lavender (then again, I’ve gotten into debates over indigo vs. navy and lilac vs. lavender). Based on the photo, it appears more blue-violet. 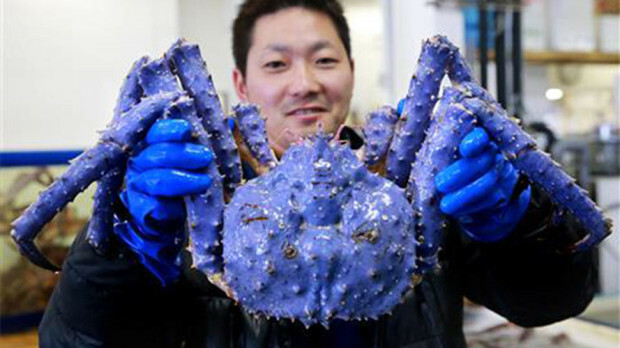 Whatever shade you call it, the crustacean discovered by a Japanese wholesaler is kind of too pretty to eat (the company agrees). I wonder if it would get along with one of those also rare blue or yellow lobsters. Plearnwan, a made-to-look old-timey tourist attraction in Hua Hin. that the patties aren’t beef, but battered pork cutlets. Who needs tradition?